Looks like another week has passed and so it’s time once again for My Week Unwrapped, in which I go over all the games I’ve been playing these last seven days. It’s been a super busy week with lots of great games, and I’m not even including all the Onirim I played. First off, I finally finished both my walkthrough and review for Visiontrick’s Pavilion. My experience was overall very positive, but some bugs and frustrating features held it back a bit for me. I do highly recommend it, as the art, music and atmosphere should not be missed. Fredbear Games released a puzzler that looks like it’s made out of paper, called Evergrow: Paper Forest, which is unrelated to the Evergrow that was released a few months ago. I do like the visuals, but I lost interest in the game pretty early on. The problem is that it’s basically a line-drawing puzzle, but instead of drawing or swiping in the direction you want to go, you tap. It’s also in landscape mode and the actual playable area is only like a a third to half of the screen area. It feels tedious because of all this. Perhaps as a one-handed game I might have been willing to give it more time. But if a game’s going to require two of my hands, it better be worth the extra effort. And I’m not finding it so. But feel free to check out my video below and see if it’s something you would enjoy. The release of the new Evergrow reminded me that I never played the original Evergrow by Imagility, so I decided to finally give it a go. It’s a very stylish game with a cute and emotional cube who you need to help grow by dragging same-colored cubes to him. It’s somehow an odd mix of relaxing and frantic. I’m still trying to decide if I like it better on an iPad or iPhone and unfortunately it doesn’t have iCloud sync, so I need to figure that out before I get much further in the game. The bombs definitely make things more hectic, but it’s still a pretty forgiving game even for those who like their games slower. Check out my video below to see if it’s something you’d like. Pol Clarissou’s and Armel Gibson’s magical “toyish surprise-o-rama, Vignettes, finally released this past week. I got it a bit early and played through it several times. It’s definitely one of my Games of the Year, as I felt like a little kid again while playing it. It’s one of those rare gems on the App Store that is just so unique and so special that you can’t not play it. It’s also hard to talk about much without ruining all the surprises, and the surprises are the best part of it. It’s also a really clever puzzler for those who are worried it’s all toy and no game. I think/hope I do a good job selling it in my review, but if not — just plaaaaaay it! I also made a walkthrough for those who are stuck, but seriously, don’t even look at it unless you’re truly stumped. Chris Foreman’s stylish and minimalistic puzzler, -PILA-, has been out for a little while already but I hadn’t heard of it before. I started playing and it does some interesting things. What really stand out for me are the animations. The puzzles do involve some mental untangling of interwoven lines to figure out which line leads where, as you have to press buttons in a sequence to get a ball to the goal. I do find some things about it frustrating and, once again, a two-handed puzzler is going to have to work harder to get my attention than a one-handed puzzler. But it’s is only $0.99 and super stylish. So if you don’t mind your puzzle games in landscape mode, give it a try! Haiku Games released their first Adventure Escape game this year, and in a twist I didn’t see coming, it features an Indiana Jones-type male character instead of the usual female protagonist. It’s called Hidden Ruins and comes complete with your cheesy bad guys stealing the artifact from the hero after he goes through all the work to get it. I love that Haiku Games never shies away from these super cheesy storylines. And of course, it’s once again free with no ads. I only discovered it today, so I just started my walkthrough, but it should be done over the next few days. Ground control Studios’ ZHED is another game that’s completely free without ads or timers or anything to stop you from playing. And it’s really clever. It’s a smart one-handed puzzler that asks you to figure out the order in which to move numbered squares in order to get one of them to the goal in the middle. It’s hard to explain and probably better to just download and play. There’s some super tricky stuff going on, but the game is incredibly user-friendly with an unlimited undo button and smooth animations. Don’t touch the “Save Solution Steps” button, though, as it will crash your game. And be careful not to use hints accidentally, as that happened to me. Otherwise, this is just a solid and generous game that I absolutely recommend downloading for any puzzle fans. 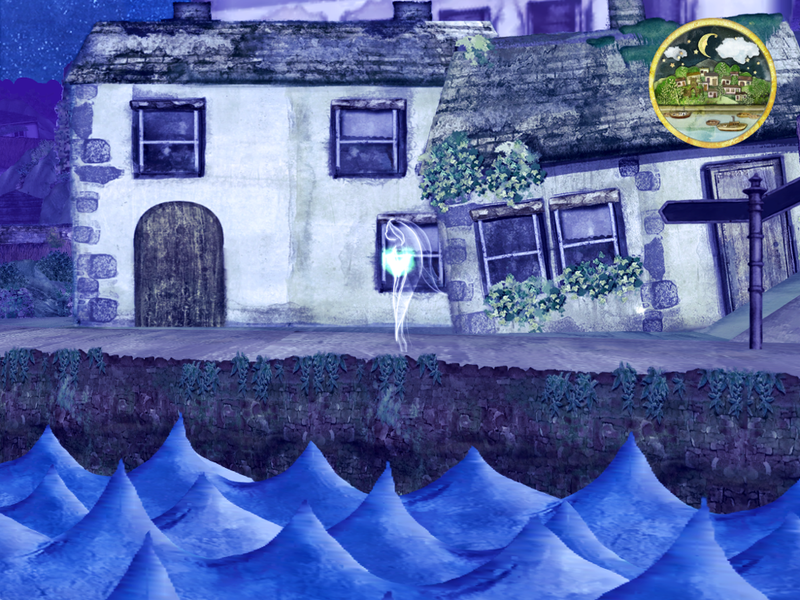 And last, Joint Custody’s Scéal: An Irish Folklore Adventure made its way from PC to iOS. So far, I only played through the demo version, called Scéal Lite. I’m not sure how I feel about the gameplay itself, as it’s mostly about following a path to an object on the map. I hope there’s more to it in the full version, as it has really unique visuals and a gorgeous soundtrack to go with it. Try out the demo for yourself. I may make video later but haven’t had the chance to yet. But the paper town builds up as you fly past it. It’s super impressive. And that’s it for this week! I still need to play through some of these games, so keep an eye out if you’re waiting for any of my walkthroughs. But there are plenty of great options if you’re looking for something new to play, both free and paid. Make sure to let me know what you picked up and I’ll see you back where next Saturday!